You're outside, enjoying another beautiful Los Angeles summer day, when you see a black-and-yellow flying insect drift through your garden. Then you see another. 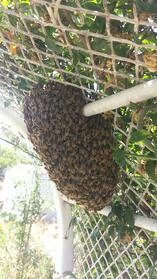 Suddenly, it's much harder to appreciate your backyard because, for all you know, you could get stung any minute. You think your only option is to immediately start exterminating the dangerous insects. However, before you rush to take care of the problem, take a moment to try to identify the insect. The distinctive black-and-yellow striped pattern usually means the insect is either a bee or a wasp. Many people lump the two together, considering them to be essentially the same insect. The problem with this classification is that you might accidentally exterminate an insect that's helping your garden. Bees and wasps belong to the suborder Apocrita, which explains their biological similarities. Both insects work as pollinators, and many live in large social groups. However, the two types of insect vary greatly in behavior and threat level. Southern California is home to many types of bees, including bumblebees, honey bees, and sweat bees. Most bee species live in waxy hives with a social class system divided into a queen, workers, and drones. The life cycle of the hive, as well as the responsibilities of each bee, differ according to species. Bumblebee colonies, for instance, last less than a year, dying off in the winter. The colonies are created around February by a single queen, who belonged to another colony the year before. She finds a location for her hive and begins laying eggs, the first members of her new colony. Fertilized eggs become female workers while unfertilized eggs become male drones. Honey bee colonies, on the other hand, store honey to help them survive throughout the winter. This extended life cycle allows colonies to grow to have up 50,000 members, instead of the 400 members that bumblebee colonies may have. When a new queen leaves to form a new colony, she takes a group of workers with her, who get to work on building the hexagonal hive right away. Honey bees, as their name suggests, produce the honey that humans consume. While all bee species feed on nectar and pollen, bees that don't survive the winter don't need to create honey stores. And some bees, known as cuckoo bees, can't collect pollen at all. Since they can't support their own hive, they must infiltrate another hive and lay eggs there, so their larvae can feed on stolen nectar. If you see a bee in your garden, think twice before killing it. Bees are essential pollinators, making it possible for many plant species to make fruit and reproduce. Plants pollinated by bees also produce more and larger fruits. Unfortunately, wild bee populations are dwindling. To make up for the loss, commercial bee colonies are becoming more and more popular, especially in Los Angeles. City residents can even have domestic beehives in their front yards, so if you start spraying when you see a honeybee, you might not only be eliminating an important pollinator and source of honey, but your neighbor's livelihood or hobby. Much like bees, many wasp species live socially in nests, although the nests are made of a papery substance rather than wax. Others are solitary and usually act as parasites-they lay their eggs in other insects so the eggs have an incubator and a food source when they hatch. Also, many species of wasps are predators, either feeding other insects to their young or eating the insects themselves. While most social wasps feed on pollen and nectar like bees, they don't produce honey and few act as pollinators. However, some plants rely on certain wasp species for survival, and some predatory wasps benefit humans by killing potentially harmful insects. When you're trying to differentiate between bees and wasps, look at the texture of the body and the shape of the abdomen. Bees tend to be fuzzy (especially bumblebees) and have a short, rounded abdomen. Wasps tend to be longer and more angular, with a sharply pointed rear. Nearly every wasp or bee you will run into in Los Angeles will have a stinger and will use it if necessary. 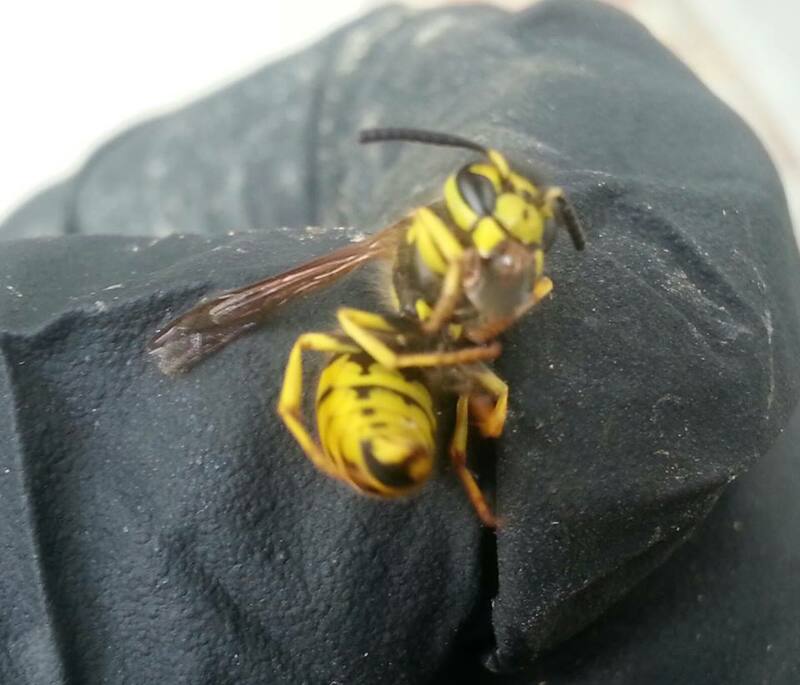 The difference between the stings of bees and the stings of wasps is that many wasps, especially yellow jackets and hornets, are aggressive and will sting over and over again if they feel threatened. Honey bees, on the other hand, can only sting once, as the stinger is pulled out and left in the wound, killing the bee. Bumblebees and other species can sting multiple times, but unlike wasps, they are typically nonaggressive and will leave most animals alone. Seeing a bee or wasp in your yard does not always indicate you have an infestation. They may not pose any threat to you or your property, and they may even be helping your plants grow. However, if you notice a nest or hive, you probably want to get rid of it, especially if you or someone in your family is allergic to bee stings. To protect yourself from vicious wasp stings and possible property damage, call Greenleaf Organic Pest Management to remove or destroy the nest. If you have a beehive, have it moved to a different, safer location so the bees can still serve the community.